Bill Gates has some words of advice in the form of a gift for 2018 college graduates. 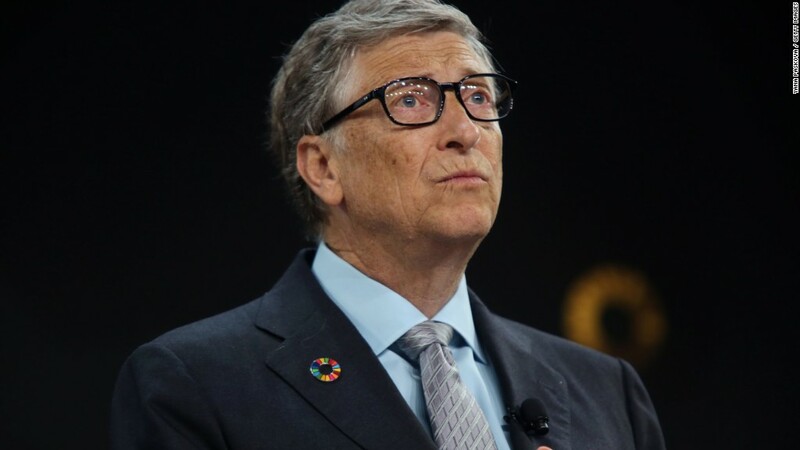 On Tuesday, the billionaire Microsoft (MSFT) cofounder and philanthropist said he'll pick up the tab for all US college graduates to download a copy of Hans Rosling's book, "Factfulness: Ten Reasons We're Wrong About the World--and Why Things Are Better Than You Think." The book, released in April and currently listed at $14.99 as an e-download on various sites, offers advice on how to think about the world and how personal instincts can impact our interpretation of information. Rosling, who died at age 68 last year, wrote "Factfulness" alongside his son Ola and daughter-in-law Anna. The Swedish statistician and academic was well-known for his Ted talks. The book debuted at no. 5 on the New York Times Best Seller List for hardcover nonfiction. "When we have a fact-based worldview we can see that the world is not as bad as it seems — and we can see what we have to do to keep making it better," Rosling writes in the book. Gates said he agrees with this advice and encouraged graduates to "learn to think, and act, factfully." This isn't the first time he's praised the book. In a YouTube video posted in April, Gates called it "one of the most educational books I've ever read." "It covers a space that isn't easy to go learn about," he added. "The world would be a better place if literally millions of people read the book." The free download is available starting Tuesday through at least Friday, according to a spokesperson for Gates. To down the book, students can visit his blog Gates Notes to sign up for an account. From there, they can fill out their name, list their affiliated (and accredited) college or university and download the e-book. The .epub format should be compatible with most web browsers. Last year, Gates recommended Steven Pinker's book "The Better Angels of Our Nature: Why Violence Has Declined" to graduates, saying it was the "most inspiring" book he's ever read. He did not offer free copies.